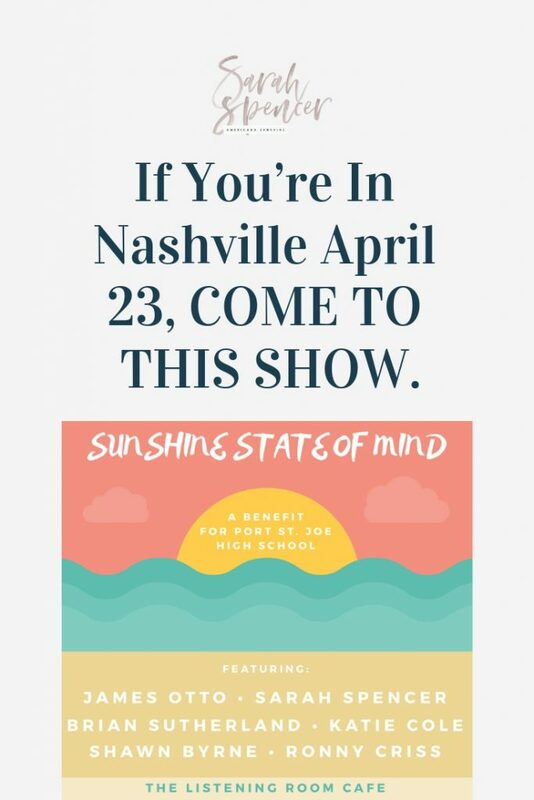 If you’re in Nashville April 23, COME TO THIS SHOW. My heart is so big right now. Are you going to be in Nashville on April 23? If you are, I would love to invite you to a benefit show that I’m playing at The Listening Room. 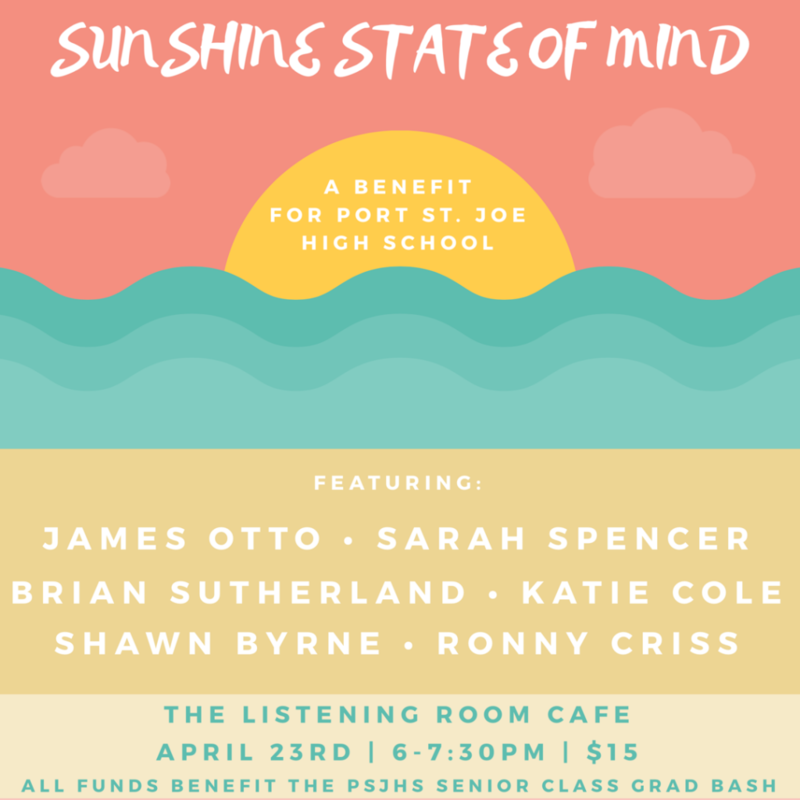 We’re playing to support the high school seniors and their families down in Port St. Joe, Florida, a beach town that was hit really hard during Hurricane Michael. TICKETS: $15, link coming soon. Check The Listening Room Cafe website and my Shows page. WHO: James Otto, Sarah Spencer, Brian Sutherland, Katie Cole, Shawn Byrne, and Ronny Criss. LET’S SEND THESE KIDS TO GRAD BASH SO THEY CAN HAVE AN AMAZING TIME DESPITE HURRICANE MICHAEL.